Some recent client interactions, one local and the other virtual, has me reflecting, once again, on the communication differences between in-person and virtual; this time, especially as it applies to Boards of Directors. I’ve sat on various nonprofit boards over the years, and followed the happenings of many others, nonprofit and private, from afar. Most all of these boards have a code of conduct. The code, although it may go by another name, spells out how board members ought to conduct themselves. Items commonly included in those codes address: ethics, conflict of interest, confidentiality, compliance, accountability, representation, responsibility, etc. On the other hand, for those boards who conduct their board meetings through virtual channels, I’ve come across few specifics, guidelines for virtual communication, that bring me comfort. Yes, many organizations have ‘online codes of conduct’, yet, they are usually general in nature and not specific to the needs of relationship-oriented boards. Don’t assume your message is understood. Communications means, literally, to make “common”, to get on the same page. As much of the communication cues we rely on in-person get lost in-a virtual context, it’s worthwhile, on a regular basis, to check-in on the effect of your messaging; was its effect as you intended? Don’t assume. Their silence during a virtual meeting may mean they are mulling over your words, or it could mean they are multi-tasking, and not actively listening to the conversation. Continuous feedback on messages sent and received builds the bridge of common understanding. Regular, positive interactions are worth it. Just like in-person relationships, healthy virtual relationships are built on a ratio of many positive: 1 negative interaction. With all the virtual communication channels available, board member relationships can, potentially, be enhanced through regular virtual interactions; e.g., in addition to official board meetings. Even mundane, seemingly low-value, interactions serve as an investment in the relationship. As non-verbal cues are given short thrift in most virtual exchanges, increasing the number of interactions can help compensate for that loss. Virtual channels can easily amplify your message. You send an email. You don’t get a reply. What’s going on, you ask yourself. On another occasion, your post is shared, wider than you anticipated. A board member takes digital action, against a management or staff person, without board approval. Uh oh. Hot buttons are pushed, or worse. Conflicts can quickly escalate, spiral, out-of-control in a virtual setting. While some things are beyond your control, constructive messaging, clear and intentional, shouldn’t be. Using social technologies will blur boundaries; sooner or later. Few of us, self-included, are disciplined enough to operate in our virtual spaces as we would with the rigor we might approach using the rooms of our house; our bathroom is not our bedroom. Yet, in virtual settings, things easily get blurred; board business vs. non-board business, professional vs. personal, public vs. private… Untangling one from the other; e.g., professional from personal, may seem the right thing to do, yet, the baseline for what is “right” is not forever; change happens, often incrementally, difficult to perceive, for better or worse. All things connect. IMHO – constructive actions balanced with an appreciation of complexity (and uncertainty) are useful attributes when it comes to collaborative virtual work. Note: I include everything from email to SMS to web conferencing under the social technology umbrella. Chairing a board meeting makes you the de facto facilitator. 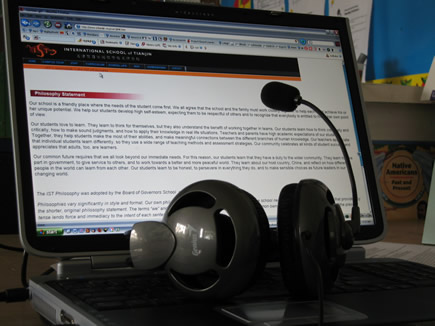 The use of facilitation techniques such as checkpoints, starting questions, and informed majority, along with effective virtual tool use, dealing with dysfunctional behaviours, etc., serves to create a highly interactive and productive virtual board meeting. Not ready for doing all that? Get support. Don’t go it, alone. Work with another, a co-facilitator, or someone who can help free you to focus on what’s most important, to you and your board. Approach virtual boards as an opportunity to expand inclusivity & diversity. The virtual board setting makes it technically easy to add other voices. It can be an industry expert, a community member; someone who is not already a board member. Adding other voices, as appropriate, can enlarge and enhance the scope of communications; explore alternate views, and better represent the broader interests of members and external stakeholders. As a bonus, virtual meetings, vs. in-person, can also provide an opportune way to level the “power” playing field. Affirm and review your virtual communications expectations in a timely manner. As technological change accelerates, and new communication channels become favourites, so, too, should the accompanying guides. Codes of conduct need to be kept current. Aligned with regular updates to those codes, board members need to sign-off on them; i.e., affirm their intention to comply. These are seven communications principles, a code of conduct, for virtual boards. What would you add to this list? For further learning, try out my (free) mini e-course on virtual communications. Also, watch a recent webinar (on YouTube) I did last month with Charity Village, on Virtual Collaboration for Volunteer Managers and Boards of Directors. Invitation: If your board board wants to improve its’ virtual communications and collaborative practices, contact me, for a free 30 minute consultation.